From us to you, we bring you Tom Andersons Pantera Claw. Pantera translates to panther in most Romance languages, which means the weapon likely derives its name from the powerful claws that a panther would possess. This simple weapon nonetheless commands great respect, in much the same way that great cat does - by virtue of its given weapons. 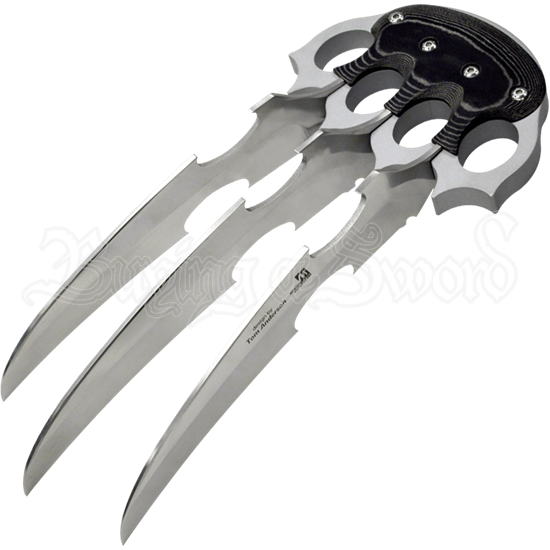 Three grand, curving claws extend out from between four knuckle-guards. From each blade, a half-circular section has been stylishly cut out, first from the top, and then from the bottom farther down, where the blade begins, running along the inside edge of the curve. The grip features a Spanish micarta wood overlay, secured in place by four bolts. 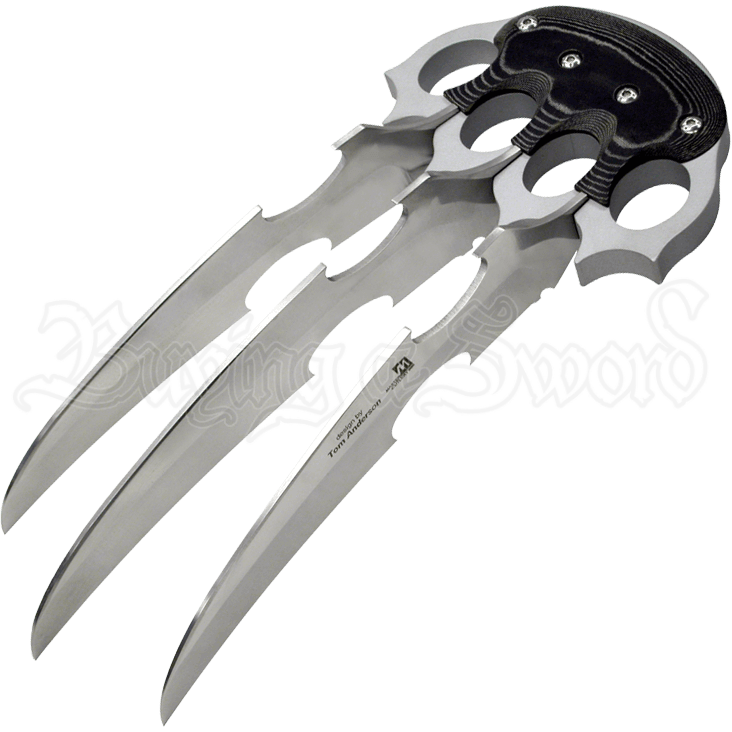 The blades are made from 440 stainless steel. Great cats have great claws, among other powerful features. Unfortunately, we cannot give you a lions roar. But we can give you a panthers talons, in the Pantera Claw.